Sheffield scientists discover a loss of cells that use dopamine may cause part of the brain - responsible for forming new memories - to function less effectively. These findings could revolutionise screening for Alzheimer’s disease, which affects more than 520,000 people in the UK. 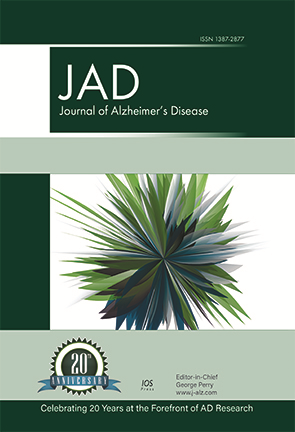 The Journal of Alzheimer’s Disease (JAD) celebrates its 20th anniversary during 2018, with the publication of a special anniversary issue (JAD 62:3) in March. 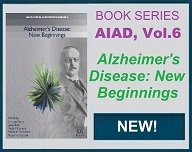 This is now available online, with all content open access and freely available to read for all, and features 35 review articles covering 20 years of Alzheimer’s disease (AD) research, plus personal perspectives from researchers in the field. New research from the Amen Clinics shows that brain SPECT (single photon emission computed tomography) imaging, a study that measures blood flow and activity patterns, identifies who is likely to get better from depression and who is not. The study is published in the Journal of Alzheimer's Disease, because depression is a highly treatable risk for cognitive decline and Alzheimer's disease. Although the general public and mental health professionals seem to disregard incapacity regarding financial issues and relevant decision making in mild cognitive impairment (MCI), and focus only on severe dementia cases, a PhD study in Greece reveals that noticeable deficits do exist in the handling of financial issues in elders suffering from MCI. The ability to generate spoken verbs in infinitive in a given time begins to worsen in the early stages of Alzheimer's disease (AD). 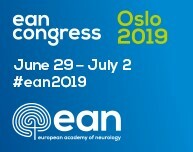 Thus, the verb fluency test has been found to be a suitable neuropsychological tool for the detection of healthy aging people at risk of developing cognitive impairment, according to a recent research of the Research Center and Memory Clinic, Fundació ACE, Institut Català de Neurociències Aplicades, UIC-Barcelona, Spain. 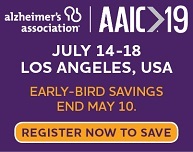 A new study led by Laurent Meijer of ManRos Therapeutics shows that some pyrazole insecticides, of which fipronil is an archetype, trigger enhanced in vitro production of Aβ42/Aβ43 over Aβ40 amyloid peptides in a cell-free, highly purified preparation of γ-secretase, in various cell lines and in neurons differentiated from human-induced pluripotent stem cells (iPSCs) from a healthy or a familial Alzheimer's disease (AD) patient with the APP K724N mutation. An innovative e-Health solution, based on an interactive Internet platform, has been developed to support senior citizens in improving their lifestyle to prevent cardiovascular disease, cognitive decline and dementia. 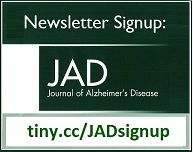 Researchers from the HATICE trial presented the solution in a pre-press article published in Journal of Alzheimer's Disease 62(2). Scientists have more evidence that exercise improves brain health and could be a lifesaving ingredient that prevents Alzheimer’s disease. In particular, a new study from UT Southwestern’s O’Donnell Brain Institute suggests that the lower the fitness level, the faster the deterioration of vital nerve fibers in the brain. This deterioration results in cognitive decline, including memory issues characteristic of dementia patients.